Gorgeous and versatile color, supremely cozie, utterly fashionable and uniquely fun. This pagoda color hat is a super fun piece for his winter wardrobe. 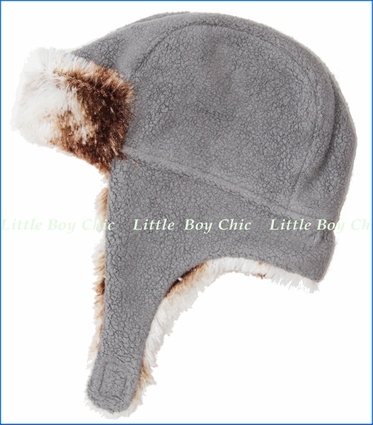 Soft faux fur lining are toasty warm and also fashionable. Velcro chin straps keeps warm and stay on.